A few unusual acknowledgements added by authors after finalizing the manuscripts have highlighted a common element in science publishing – right before going to press, authors can make minor changes to manuscripts that editors won’t necessarily review before publication. 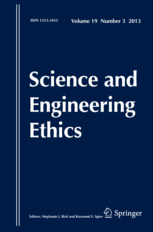 We were reminded of this when reading two opinion papers published in August by Science and Engineering Ethics. The authors are grateful to their respective universities (Manipal University and Panjab University) for encouraging research and publications in international journals of repute. The authors are grateful to their respective universities (Manipal University and Panjab University) for encouraging research and publications in international journals of repute. Corresponding author wishes to acknowledge the present Vice Chancellor Prof. Arun Kumar Grover and former Vice Chancellor Prof. RC Sobti for their untiring efforts to encourage quality research and publications for better research outputs. These are not the typical notes we see at the end of papers (although some unusual ones — such as a marriage proposal — do occasionally come across our desk). I believe both are designated as opinion pieces and neither has an acknowledgement. Mind you, they can’t make major changes, Bird noted, such as altering the author list (about which editors have to be notified), or major text rewrites, since typesetters can’t move around much text at that point. If it’s a dramatic change in the paper, I would expect typesetters would notify an editor. But they aren’t always in a position to necessarily know that something changes things dramatically. We’re not sure how many journals let authors make unedited changes, but it’s certainly not just Science and Engineering Ethics, said Bird — based on what she’s experienced when publishing in other journals, it’s “common practice” to let authors make minor, last-minute changes that editors don’t approve before publication. Ultimately, the modifications that authors make in the proofs is to make sure the message they are trying to convey gets conveyed. I don’t see it as essential to check every dot and cross every “t” to make sure nothing is changed. It’s something that’s beyond what’s possible for editors to do, and take responsibility for. Because it’s the authors’ name on the papers. We received a statement from two of the authors on both papers, Tanuj Kanchan at Manipal University in India and Kewal Krishan at Panjab University, which concurred they’d added the acknowledgments during the final stages of publication. We agree that the acknowledgements were added later, however, we never realized anything unusual in it. We understand that acknowledging the universities for encouraging research and publication in international journals of repute no way can harm any individual or society. Besides, we were not aware that acknowledgements cannot be added at the ‘proof’ stage of the article. If that was the case, had the journal production team informed us, we would have removed that for sure. Though our intentions are fair, we regret if the acknowledgements stated by us is taken as unusual or has caused any concern or inconvenience to anyone. I would have been fine with them, although they are unusual. A recent publication in a top economics journal underwent major revision during proof correction. Two panels of one figure and two rows of one table were changed, and two paragraphs were rewritten to be consistent with the changes. I have no evidence that these changes were made without the editor’s knowledge, however. I recently published a paper (well, it’s in production now, hopefully soon in print) where the copy-editor flagged “data not shown” and said it was against journal policies. This resulted in a LARGE change in the paper. I wrote a letter back recommending that they send the paper back to the editors, and the production staff duly did so, causing about a two month delay. But the change was so big it really would have been inappropriate to leave it in the copy-editor’s hands (whole new figures, deletion of a previous figure, some changes to conclusions). I wonder what would have happened had I not warned them. Would it have gone through? To be quite honest as “data not shown” is generally for facts which, whilst perhaps pertinent, the paper does not rely upon; I would have been tempted either to delete the sentence which contained that comment or re-wrote it to avoid it. 2 months delay and a major re-write seems a heavy penalty to pay, especially as it had passed peer review! Moreover, at this stage, many technical editors only require a list of corrections, generally sent by e-mail, and I don’t see how large sections, tables, or figures could be modified by this means. If something substantial should be modified upon editor request, that means that the status of the paper is still somewhere between “under review” and “typesetting in progress” (see the previous post, with the story of Mary Kuhner). “Please check this proof carefully. Our staff will not read it in detail after you have returned it”. Finally, the acknowledgements section is a very special piece, which does not contain any Science. Last minute modifications in this section have very little consequences, and authors are free to acknowledge God, their pets, their wife/husband/boyfriend/girlfriend/ex-mistress, or the President of the Senate, if they wish. Sylvaine, I believe absolutely not. Only entities that have provided tangible material support or direct assistance with an aspect related to the study can or should be acknowledged. To place a pet or God in the same category as a financial donor or grant, or someone who assisted with actual parts of the experiments is plain incorrect, as I see it. Acknowledgements should be as fully vetted for validity by editors as the actual scientific content. If you would like the names of the individual members of a collaboration Group to be searchable through their individual PubMed records, please ensure that the title of the collaboration Group is included on the title page and in the submission system and also include collaborating author names as the last paragraph of the “acknowledgements” section. Please add authors in the format First Name, Middle initial(s) (optional), Last Name. You can add institution or country information for each author if you wish, but this should be consistent across all authors. Sylvaine, how does one obtain permission from God or a pet? Who/what exactly is “etc”? Is God or a pet acceptable to acknowledge, Dr. Bird, using Sylvaine’s definition and relying on the vagueness of JSEE’s IFA? How can Springer-Nature have such varying IFAs for different journals?